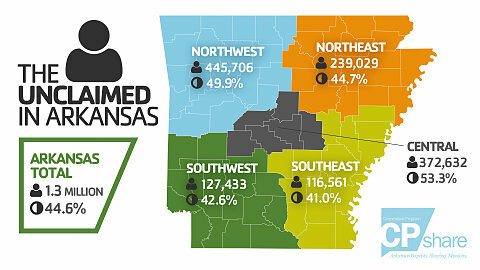 Infographics that illustrate lostness across North America & show the need for the church to become active in sharing the Gospel. 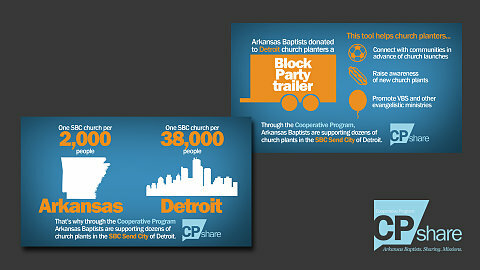 Infographics that illustrates the need for mission strategies in Send City Detroit. 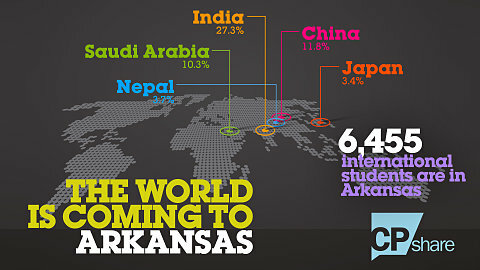 A regional map of Arkansas that shows those unclaimed by any religion.